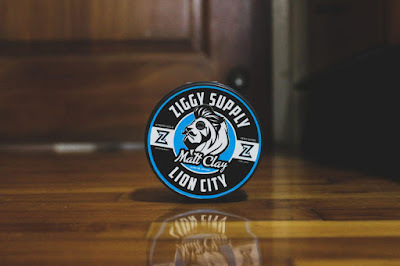 Today, we are going to continue down the line of reviewing products from Singapore and we will be taking a look at the Matt Clay from Ziggy Supply (formerly known as GetZgy.SG). This product is advertised as an extreme hold, zero shine and is meant for textured, volumized hairstyles. So today, we'll see if this product holds true to their claims. Matt Clay from Ziggy Supply. 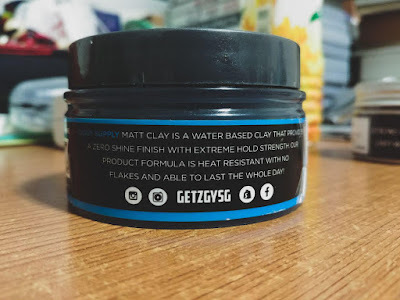 Ziggy Supply (formerly known as GetZgy.SG), used to be a regular Singaporean hair company, selling somewhat generic formulas from what I heard, and this matt clay used to be one of them. I have spoken to the brewer, Matin, about the current formulation and he has told me that he changed the formula personally based off the feedback that he was given. I personally have not tried the old formula, so I would not be able to speak about it. 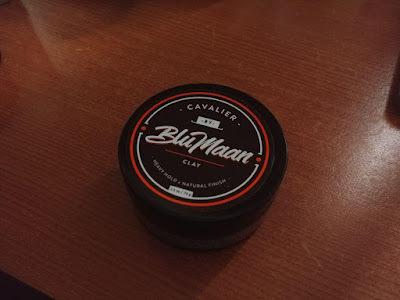 What I can speak of is the fact that I like this product and it gives me high hopes for their home-brewed products such as the Singapomade, the Mad Wax and the Temasek Pomade. 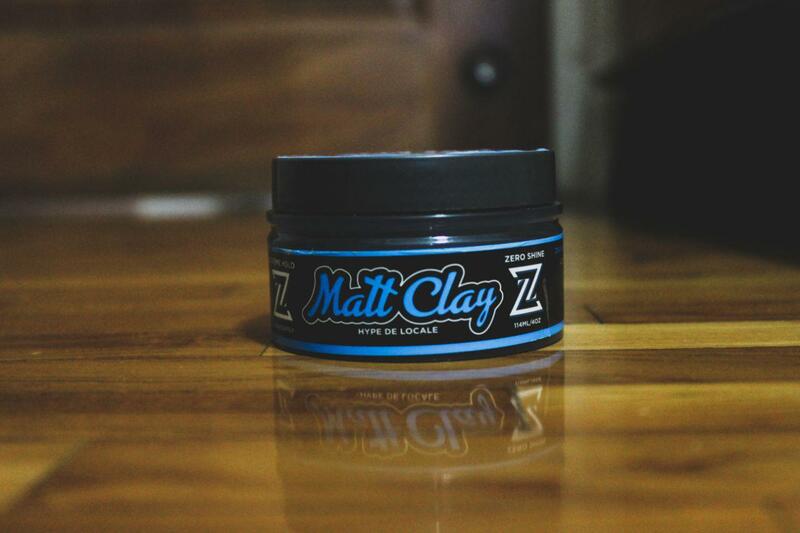 The Matt Clay from Ziggy Supply comes in a standard 4oz (114ml) plastic jar with labels on the lid and the sides. I like their current design a lot more than their previous designs and the lion with the monocle gives a very classy feel to it. The ingredients, directions and social media sites are on the decals and overall, I like the presentation of this product. The Matt Clay from Ziggy Supply comes in a 4oz (114ml) plastic jar. 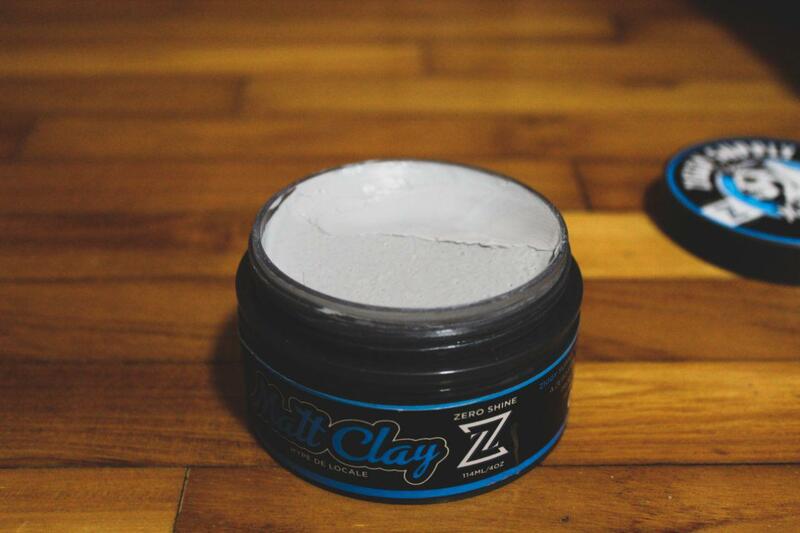 This product is advertised as a water-based clay that provides zero shine with an extreme hold that is able to resist the heat, no flaking and able to last all day. The official scent is described as a blueberry scent, and I must say it's pretty spot on. It's like an artificial sweet scent which is quite light and pleasant on the nose. You will hardly smell it at all throughout the day, so if you don't fancy sweet scents, it shouldn't be too much of an issue for you. The consistency of this product is fairly creamy. It breaks down in your hands with little resistance but you will notice that it starts to dry out in your hands fairly quickly. Consistency is fairly creamy, but dry. Much like what the dryness of the product suggests, the product starts to dry out even more when applying. Yes, it may feel unhealthy in your hair, but in my opinion, if it styles well, then it's not too big of an issue to me. Plus, my hair is fairly oily in its natural state so I definitely did not mind the dryness. You will feel some tug and pull due to the dry nature of the product but it's nothing unbearable. Styling with this product was very easy. I have tried it as a pre-styler and what I got was a dry feel, similar to what I normally get with a sea salt spray. The volume that it gave was tremendous and I was pretty pleased. Just take a look at the photos. Several hours into the day. 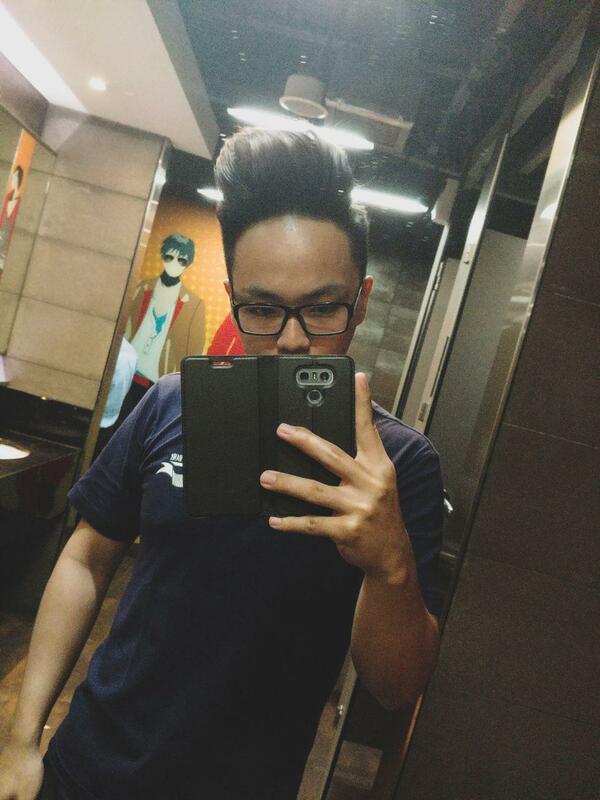 My hair hardly moved at all. You get very good texture with this product. I haven't tried a cleaner look with this product yet but I imagine that it wouldn't be that great due to the dryness and amount of texture that the product provides. Simply amazing. The product held up all day and surprisingly, I was able to restyle without any water given the nature of the product. 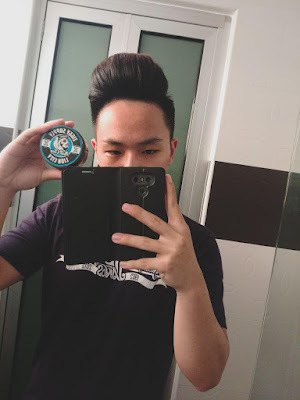 The product did 'puff out' a little bit, but it's nothing compared to a gel pomade. The product gave a brutal hold from start to finish and I don't see it being any different for you unless it's raining. Very good endurance. 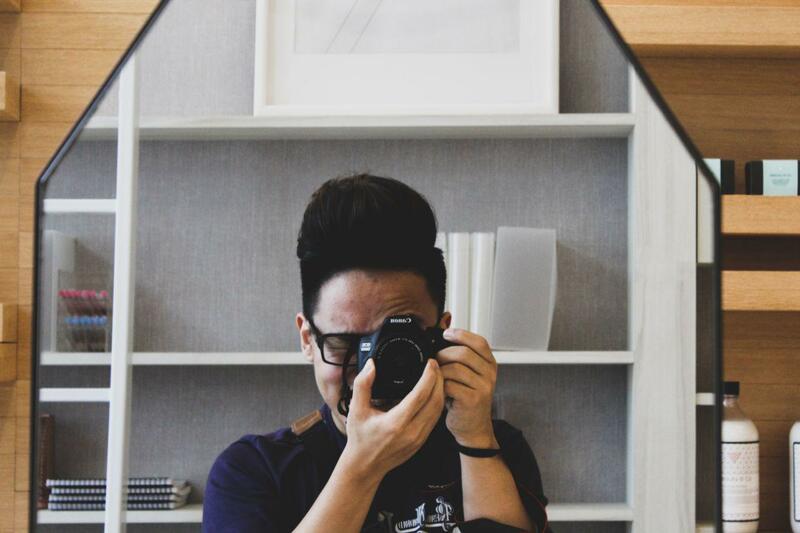 Volume is still there and is fairly easy to restyle. Most of it will come out with just water. I used one round of shampoo to fully remove it but any product is difficult to be removed from my hair, so I imagine that you would not experience the same difficulties that I experience when it comes to washability. It costs SGD20 with free shipping across Singapore. Matin also told me that he was able to get good shipping prices, with the shipping cost around SGD5-6 to Malaysia and around SGD8 to USA, so it's definitely affordable. 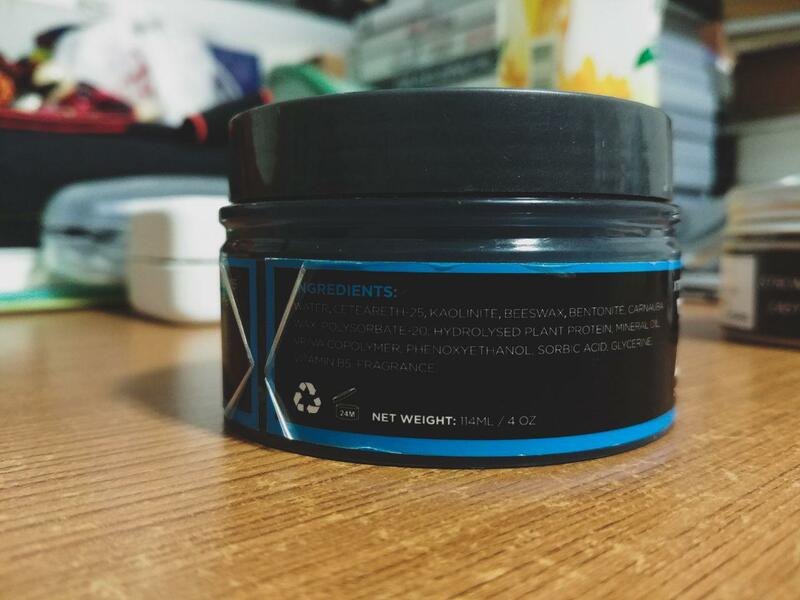 For the lack of a better description, it's kind of like a clay-gel pomade but in a pretty good way. I like this product. It's good, convenient and does what it's advertised to do. If I were to point out negatives, I would say the dryness may be excessive and harsh for some users. But if you could overlook that, then I would say that it's a product worth checking out if you're able to get your hands on it. It's not a game changer, but it's a good product that has its place in the market. This gives me high hopes for their Singapomade, Mad Wax and Temasek Pomade, which I will get to once I have the funds to get my hands on those :') Anyway, that's all from me and I hope you found this helpful. 3.9 out of 5. It's good. May be a bit too dry for some people, but that's the only issue I see. It's affordable, styles well and I can depend on it. Not outstanding, but a good product and something that I can count on. IntroductionIt's been a long minute since I have done a review, mostly because I have been struggling with personal issues, but I decided to come back to the review game as this product that I am going to be reviewing is a great product and is criminally underrated. 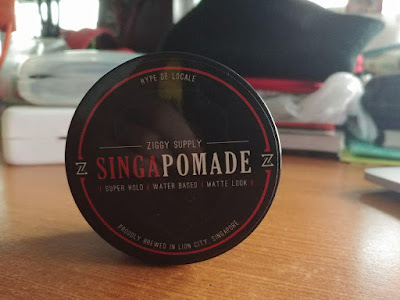 Today, we will be taking a look at the Singapomade by Ziggy Supply, a water based clay pomade. 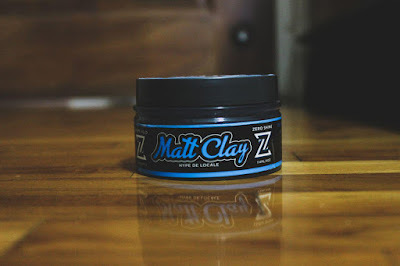 I believe that this is the first home brewed product that was released by Ziggy Supply as their previous products were lab made, so I had really high hopes for this clay as I enjoyed their Matt Clay (you can check out the review for that product by clicking here).